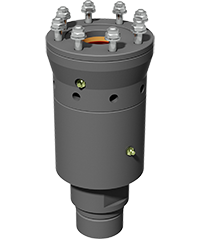 The Metzke™ Dual Swivel LD is a combination air / mud swivel assembly, eliminating the need for a below head air swivel. The Metzke™ Dual Swivel HD is a combination air / mud swivel assembly, eliminating the need for a below head air swivel. 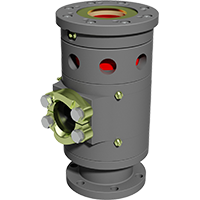 The HD Swivel Shaft and bearings are isolated from Head Shaft Load through the use of a soft coupling between the shafts. 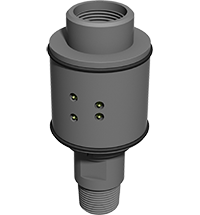 The Metzke™ Air Swivel can be supplied in a number of top and bottom thread configurations. If used in conjuction with the Metzke™ Above Head Sample Swivel, a single piece head wear tube can replace the need for the air swivel inner tube. With great success Metzke™ has field trialled a new style of ‘mud seal’ arrangement. The new Mud Seal is a one piece Seal that is long lasting and quite easily replaced in the field.